State Systems, Inc. understands the unique life and property safety demands of government facilities, from large federal institutions to the local post office. In order for government agencies to be successful, they must be able to rely on sound fire protection, security technology and low voltage systems. We have provided our services to a number of public sector facilities including the Memphis Veterans Affairs Medical Center, the Shelby County Forensic Center, the FAA Air Traffic Control Tower and the West Tennessee Federal Prison. We provide fire protection and technology solutions to government facilities across Arkansas, Tennessee and Mississippi. Contact us online for a quote or call us today at 866-308-5701. We’re proud to be a leader in serving the fire protection and life safety needs of government facilities. 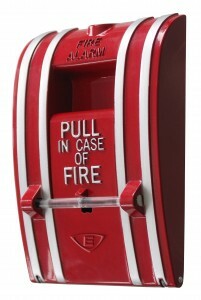 Fire alarm systems are standard for every building—whether it is a government building, a healthcare facility, or an educational campus—and must adhere to certain codes and regulations. This is incredibly important in government buildings and facilities. The safety and protection of staff members, the general public and the building itself is at stake. State Systems, Inc. has the ability and technical expertise to install any type of fire or security alarm, as well as a number of fire detection and alarm systems that meet or exceed all building code requirements. Fire detection and alarm systems for government facilities include devices such as smoke detectors, control panels, heat detectors, pull stations, horns and strobes, tamper-proof switches and carbon monoxide detectors. Each component is important in protecting government facilities in the event of a fire—and at State Systems, Inc. we service each one. Our expert technicians are trained and certified to design, install, repair and test fire alarm systems for government facilities—so give us a call or contact us online for our services. Controlling access to a facility and its assets is vital to creating a safe and secure environment, which allows government staff and visitors to feel comfortable. In order to fulfill this, government facilities are incorporating access control systems within their overall security strategy. These systems provide government and other public facilities an important layer of security by allowing or denying a person’s entrance to the facility—or a defined area within the facility—through the use of access cards or biometric recognition. Contact State Systems, Inc. or call us to learn more about access control systems for government facilities. We’ve helped improve overall security in facilities throughout Tennessee, Arkansas and Mississippi with access control systems. At State Systems, Inc., we understand that government facilities come in all shapes and sizes. From systems with one to 6,000 phones, no telephone system project is too small or too large for us. Whether a government facility needs to be relocated or requires an upgrade to the existing telephone system, State Systems, Inc. can handle the job. 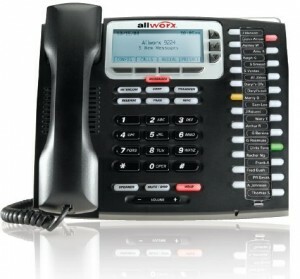 We’re an authorized dealer of ESI and Allworx telephone systems. Call us at 866-308-5701 to learn about the telephone systems we can install for you.